We are a web design agency, named noviSplet.com, with 14 employees and we have been designing websites since 2004. We have launched over 700 websites. We are one of the leading companies in this field. After many years of experience in entrepreneurship, sales and marketing, we have gradually specialized and have been dealing exclusively with web solutions since 2004. With web design, programming, advertising, marketing, and market communications we provide comprehensive solutions for companies that are interested in increasing sales and enhancing reputation over the Internet. We have gained the trust of a wide range of clients that are both large and established companies as well as those only starting their business career. We strive to direct our services to comprehensive and professional solutions, capturing the spirit of modern times. Novi Splet employees are professionals with many years of experience, who have reached high level of knowledge and expertise regarding online possibilities and restrictions as well as the usage of online tools. That is why our web solutions suit both a small entrepreneur and large companies. Our formula is the synergy of top-quality aesthetic design and excellent marketing strategy, supported by professional programming and efficient optimization. We put all our knowledge (including marketing consultant, designer, animator, programmer and copywriter) and the maximum amount of energy in each of our projects. We are proud of our products because they are both efficient and pleasing. We also take pride in our work and in each and every finished project. Quality never descends to the level of average because we know we are only as good as our last project – the latest web page – was. We have a fair and professional approach with our business partners. We know that we are doing well and think correctly because of the feedback we receive from our clients who have entrusted us with their confidence and continue to express their loyalty. 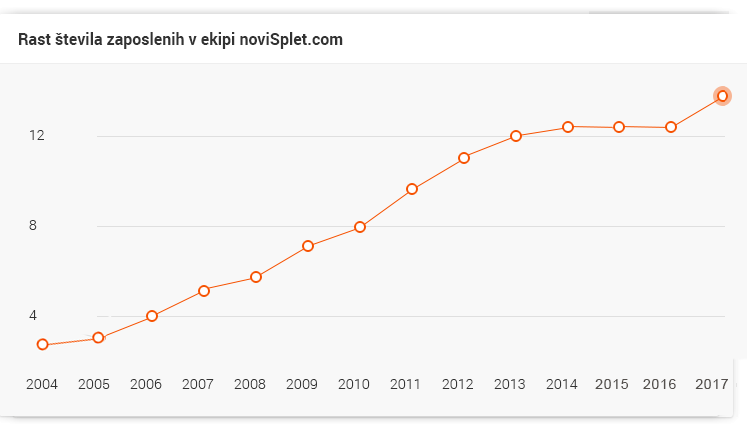 According to the analysis of the credit rating house Bisnode in 2014, the web design agency noviSplet.com, Atribut LLC is among the top 21.4% of business entities in Slovenia, and was therefore given an AA rating. In 2014, only 6,598 reached the certificate of excellence from 156,744 enterprises registered in Slovenia altogether. On the 2014 selection for Gazelle award, organized by the Dnevnik newspaper, the web design agency noviSplet.com, Atribut LLC ranked on the fantastic 500 list of fastest growing companies in Slovenia. In the media-research project Golden Thread 2014, organized annually by the newspaper Dnevnik, the web design agency noviSplet.com, Atribut LLC participated in the project of selecting the best employer in Slovenia and so joined the company of the best employers.